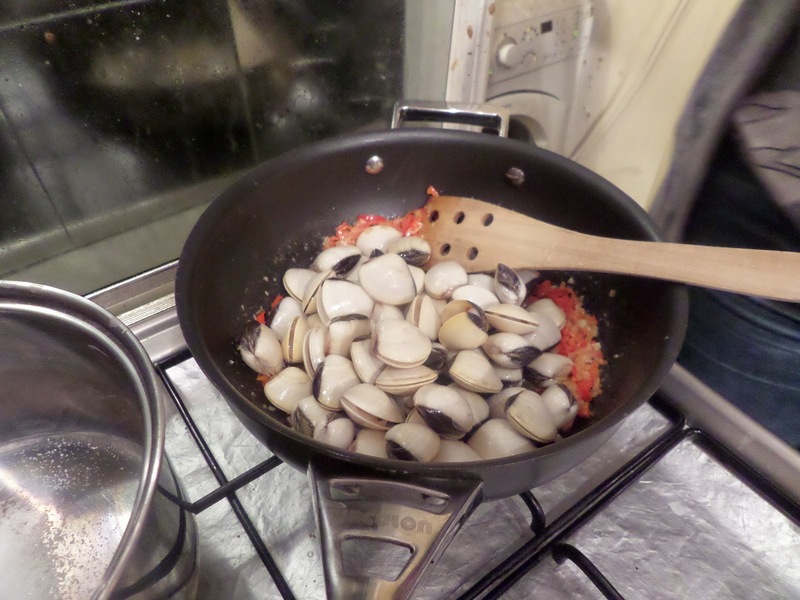 We finally found where we can buy clams in the UK: at our local Chinese supermarket! 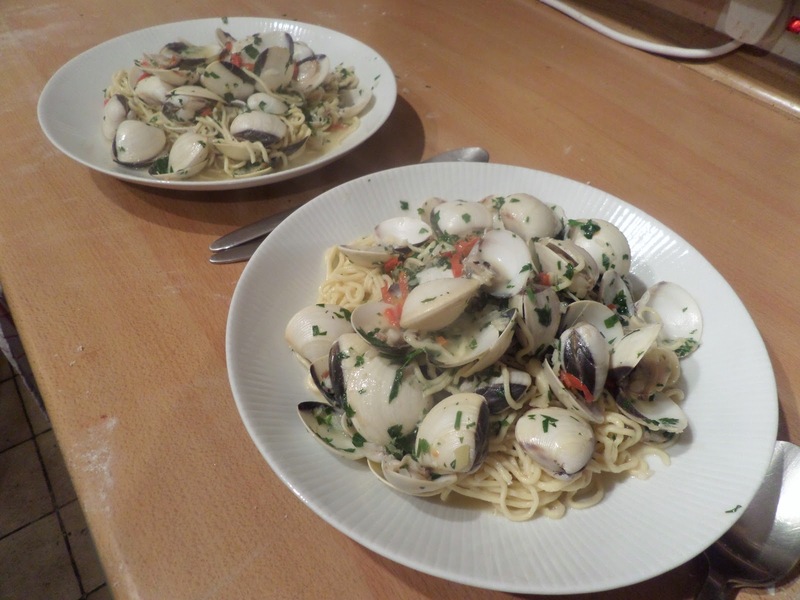 They’re frozen, so we got two packs: one for this vongole, and one to do clam chowder one day. Once again we’re turning to the Grauniad’s Cook the Perfect recipe for this one. 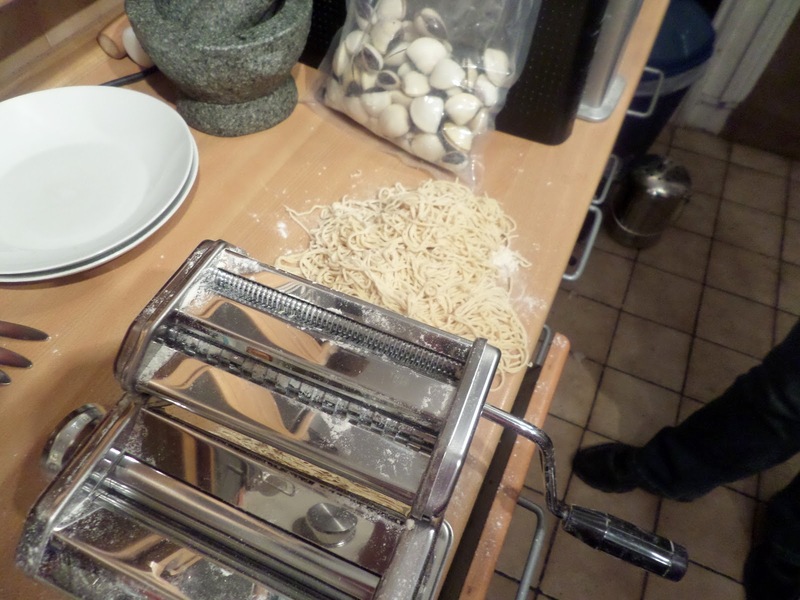 We’re making our own pasta, mainly to test the new pasta machine after I broke the last one. The bloody expensive Italian branded one… So this time it’s a cheap one from Robert Dyas that can be easily replaced if I break it again. So basically stuff in pan.